This week we have a song that reminds me of Bollywood's famous actor, Amitabh Bachchan, who had sung few songs for his films in spite of not being a singer. “Paint Your Wagon” was a film produced in 1969. Actor Lee Marvin, who played a major role in the film, sang all of his songs in the film, in spite of him not being a natural singer. Even though the film became a box office flop, the soundtrack was a success. 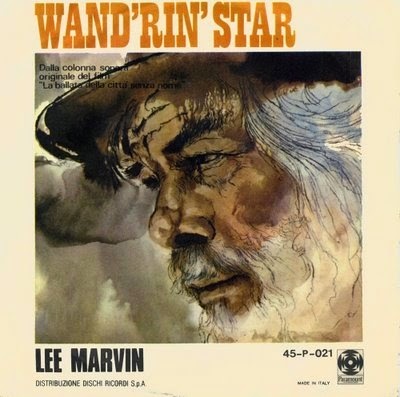 One of the tracks from the film "Wand'rin' Star" even became a number one single in the UK and Ireland for Lee Marvin for three weeks in March 1970.